Nissan hasn't lowered the price on the 2010 Nissan Armada, but it's likely that you'll be able to find a substantial deal—if not on a 2010, then on a remaining 2009. The 2010 Nissan Armada has handsome, rugged good looks and a responsive V-8 powertrain, but in nearly all other respects, it's outdone by its rivals. 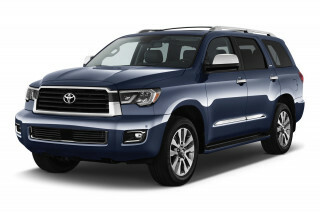 TheCarConnection.com has read through many reviews from outside sources, citing highlights in a full review to bring you the most information possible pertaining to the 2010 Nissan Armada. The editors of TheCarConnection.com have also driven the Armada and bring you their expert opinion and impressions here in a Bottom Line summary. An imposing stance and rugged, macho styling cues separate the 2010 Nissan Armada from the rest of the full-size SUV crowd, but the Armada fails to stand out for interior space, comfort, or practicality. The Armada got a refresh for 2009, including some revised equipment and new option packages, but it essentially continues unchanged. With its flared fenders, chunky contours, and various other bulges around the wheel wells and hood, combined with a very upright profile, the 2010 Nissan Armada looks imposing and even aggressive, some might say. A prominent pillar at the back of the rear door almost makes the Armada look like a pickup variant, yet it also harkens back to Nissan's former versions of the Pathfinder. Inside the Armada is a little softer in its design compared to other full-size trucks, though plenty of bins and a vast center console mean business. Towing and hauling remain strengths for the Armada, but its sheer heft opposes any quick changes in direction and drags down fuel economy. 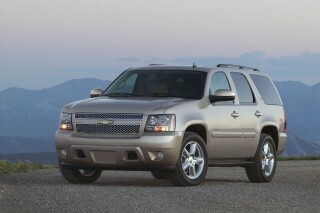 A 5.6-liter V-8 engine remains standard on the 2010 Armada, producing 317 horsepower and 385 pound-feet of torque. It works well with the five-speed automatic transmission, with no hesitation to downshift, and offers class-leading towing capacity of up to 9,100 pounds. The Armada is, quite simply, a guzzler; the EPA city rating is just 12 mpg, and lower real-world figures are likely if you’re doing a lot of stop-and-go. The interior of the 2010 Nissan Armada is pleasant for the first and second rows, with front seats perched relatively high. The front seats are quite comfortable, though, and it's easy to find a good driving position with the available adjustable pedals. Second-row captain's chairs are also very comfortable but reduce capacity from eight to seven, replacing the bench seat. In back, the third-row bench is just OK for smaller adults, but it leaves almost no cargo space. Overall, materials in the Armada lag the competition; up close, the dull, scratch-prone plastics used around the lower door panels and center console are bound to show their age, and trims look on the cheap side. Ride quality in the Armada is firm but smooth, soaking up most major bumps, but it isn't the most refined experience, with a fair amount of wind noise in several test vehicles and an engine note that's a little too prominent. With regard to safety, the 2010 Nissan Armada doesn't fare quite as well as its rivals, but it definitely has size and weight on its side. The insurance-affiliated IIHS hasn't tested the Armada, but it receives four- and five-star results in frontal impact protection from the federal government, with three-star results in rollover because of the Armada’s high center of mass. Front side and full-length side curtain airbags, covering both rows, are standard, plus electronic stability control and anti-lock brakes with electronic brake-force distribution. Forward and side visibility is great, due to the high perch, but rearward visibility when parking is tougher because of the thick rear pillars. The Armada does offer a bit more standard equipment than other full-size utes. Automatic dual-zone air conditioning, a 60/40 split fold-flat third-row seat, keyless entry, rear parking sensors, and the ability to play MP3-formatted CDs are all standard features on the 2010 Armada, which is offered in SE, Titanium, and Platinum. Titanium models now add a host of heavy-duty upgrades, including a heavy-duty battery, tow hooks, a towing hitch, a load-leveling rear suspension, roof rack rails, 20-inch wheels, and fog lamps, plus Bluetooth and upgraded Bose audio. Platinum models get convenience features such as a DVD entertainment system, puddle lamps, memory seat settings, heated seats and mirrors, a power rear liftgate, a moonroof, and chrome-clad wheels. A tow package taps into the full 9,100-pound capacity and brings a brake controller and 7-pin harness. The 2010 Nissan Armada is better-looking in most respects than other plus-sized SUVs. With its flared fenders, chunky contours, and various other bulges around the wheel wells and hood, combined with a very upright profile, the 2010 Nissan Armada looks imposing and even aggressive, some might say. A prominent pillar at the back of the rear door almost makes the Armada look like a pickup variant, yet it also harkens back to Nissan's former versions of the Pathfinder. There's no shortage of positive comments regarding the exterior of the 2010 Armada. Motor Trend adds that the Nissan Armada looks "chunky, modern, and sporty, and the big wheels and tires look great." 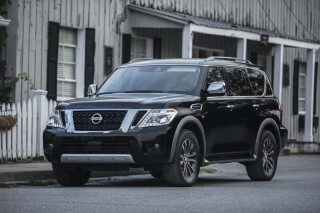 Edmunds says, “Its front fascia is nothing short of menacing, and its bumpers and fenders have the sort of bulging mass usually associated with power lifters and gridiron gods,” while Kelley Blue Book reviewers concede that the Nissan Armada's "unconventional styling may not be to everyone's liking." Motor Trend finds that the Armada sports a "handsome body." Kelley Blue Book points out that the Nissan 2009 Armada features a "raised roof, arched door frames and huge side fender flares," which make it "one of the most ornate SUVs" that they've encountered. The 2010 Nissan Armada tows and hauls with verve, but it doesn't handle particularly well and guzzles fuel all the while. Towing and hauling remain strengths for the Armada, but its sheer heft opposes any quick changes in direction and drags down fuel economy. 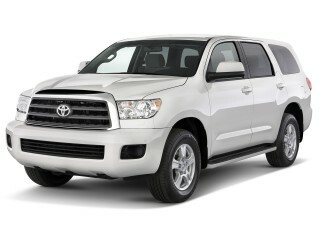 A 5.6-liter V-8 engine remains standard on the 2010 Armada, producing 317 horsepower and 385 pound-feet of torque. It works well with the five-speed automatic transmission, with no hesitation to downshift, and offers class-leading towing capacity of up to 9,100 pounds. The word from reviewers regarding its powertrain is overwhelmingly positive. 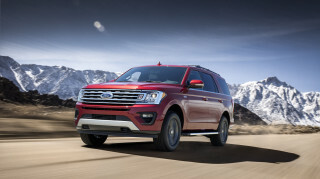 ConsumerGuide testers find that the "Armada delivers fairly strong takeoffs," and Motor Trend testers manage to go from "0 to 60 in a mere 6.8 seconds." In addition to incredible acceleration, the Nissan Armada's V-8 boasts a towing capacity that The Auto Channel says "beats out competition by more than 2,000 lbs." ConsumerGuide also praises the "alert, smooth-shifting automatic transmission" that features five forward gears. Edmunds reviewers feel that "the massive girth of this truck is obvious when cornering." ConsumerGuide calls the Armada's handling "clumsy in close quarters," and says the steering "has a firm feel, but Armada reacts slowly to inputs." Motor Trend attests that the Nissan Armada offers "great grip and no drama when cornering," though this is one of few positive observations about the handling. The Nissan Armada also boasts confidence-inspiring brakes, which Motor Trend praises as "superior to the other SUVs" in its class. The Armada is, quite simply, a guzzler; the EPA city rating is just 12 mpg, and lower real-world figures are likely if you’re doing a lot of stop-and-go. Car and Driver lists frequent "trips to the fuel pump" as one of the Nissan Armada's low points, thanks to an EPA-estimated 12 mpg city and 18 mpg highway on two-wheel-drive models, which drops ever so slightly to 12/17 mpg on the four-wheel-drive versions. There's decent comfort in all three rows of the 2010 Nissan Armada, though it lacks the refinement, build quality, and top-notch materials of its top rivals. The interior of the 2010 Nissan Armada is pleasant for the first and second rows, with front seats perched relatively high. The front seats are quite comfortable, though, and it's easy to find a good driving position with the available adjustable pedals. Second-row captain's chairs are also very comfortable but reduce capacity from eight to seven, replacing the bench seat. 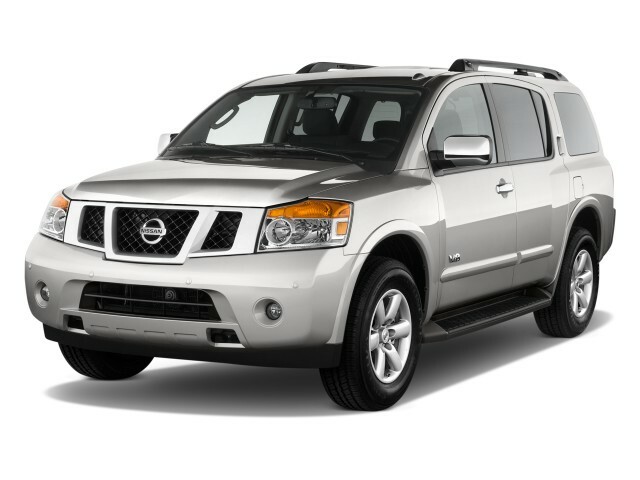 The large dimensions of the 2010 Nissan Armada shine through when it comes to interior comfort, and reviews read by TheCarConnection.com unanimously praise the "roomy cabin," as Edmunds refers to the Armada's interior. Kelley Blue Book notes that "an excellent set of optional second-row captain's chairs" reduces capacity to seven. ConsumerGuide reviewers find "roomy, supportive seats" in front and "standard power pedals," as well as "standard tilt steering wheel" that allow drivers to "fine-tune a comfortable driving position." 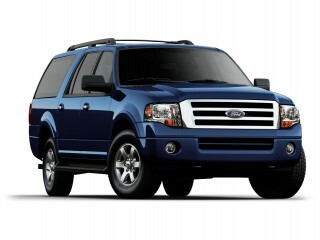 The second row also "outclasses the others" in terms of "headroom and legroom," according to Motor Trend. At the far back, the third-row bench is just OK for smaller adults, but it leaves almost no cargo space. The Auto Channel warns "third-row passengers are going to feel smashed," though. One convenient feature of the folding rear seats is that "unlike some competing vehicles, the headrests do not have to be removed first," according to Cars.com. Provided you're not using those third-row seats, cargo space is respectable. ConsumerGuide praises the "terrific interior storage" on the Nissan Armada, as "bins, pockets," and "beverage holders abound." As for rear cargo storage, Edmunds says the "second and third rows are split and easy to fold flat, allowing one to optimize most any combination of people and cargo," but even with "both rows folded down, maximum cargo capacity stands at 97 cubic feet, which rates about 10 cubes less than the Armada's domestic rivals." Overall, materials in the Armada trail the competition; up close, the dull, scratch-prone plastics used around the lower door panels and center console are bound to show their age, and trims look on the cheap side. Edmunds notes the increase of "soft-touch materials and wood-tone accents" with the Armada's last refresh, but while "it's much more inviting than before, the Armada's interior still lags behind the solidly executed examples set by General Motors." ConsumerGuide affirms that, observing "interior decor is mostly plain with materials that trail Armada's large-SUV rivals." ConsumerGuide also finds some build-quality issues, as their "test examples had various creaks and rattles, including a squeaking steering column." Ride quality in the Armada is firm but smooth, soaking up most of the major bumps, but it isn't the most refined experience, with a fair amount of wind noise in several test vehicles and an engine note that's a little too prominent. ConsumerGuide thinks that "wind and road noise are nicely muffled," aside from some "wind whistle from the cargo area." Kelley Blue Book finds that "so long as the road remains fairly smooth the Armada maintains a very livable ride." On coarser surfaces, ConsumerGuide warns "jiggle is noticeable over patchy pavement and expansion joints." The 2010 Nissan Armada's crash-test results aren't at the top of its class, but it does have a good feature set. With regard to safety, the 2010 Nissan Armada doesn't fare quite as well as its rivals, but it definitely has size and weight on its side. The insurance-affiliated IIHS hasn't tested the Armada, but it receives four- and five-star results in frontal impact protection from the federal government, with three-star results in rollover because of the Armada’s high center of mass. Front side and full-length side curtain airbags, covering both rows, are standard, as are electronic stability control and anti-lock brakes with electronic brake-force distribution. Edmunds reports that a rear-obstacle-detection system also comes standard. The Auto Channel notes that the 2010 Nissan Armada "earned a rollover rating of three of five stars," which is not altogether unexpected on such a large vehicle. Forward and side visibility is great, due to the high perch, but rearward visibility when parking is tougher because of the thick rear pillars. ConsumerGuide says, "visibility is commanding," thanks to the Nissan Armada's "jumbo door mirrors and unobtrusive headrests." Kelley Blue Book adds that "the broad expanse of glass allows for good 360-degree visibility," and The Auto Channel points out that the "Rear Proximity Sensor System" will "beep when you are close to an obstacle," further aiding parking lot driving. The 2010 Nissan Armada comes very well equipped but doesn't offer the vast array of features and options that Ford and Chevy do. The Armada does offer a bit more standard equipment than other full-size utes. Automatic dual-zone air conditioning, a 60/40 split fold-flat third-row seat, keyless entry, rear parking sensors, and the ability to play MP3-formatted CDs are all standard features on the 2010 Armada, which is offered in SE, Titanium, and Platinum trims. Titanium models now add a host of major upgrades, including a heavy-duty battery, tow hooks, a towing hitch, a load-leveling rear suspension, roof rack rails, 20-inch wheels, and fog lamps, plus Bluetooth and upgraded Bose audio. Platinum models get convenience features such as a DVD entertainment system, puddle lamps, memory seat settings, heated seats and mirrors, a power rear liftgate, a moonroof, and chrome-clad wheels. A tow package taps into the full 9,100-pound capacity and brings a brake controller and 7-pin harness. ConsumerGuide says there are several noteworthy options on the Armada, including a "power sunroof" and "Preferred Package" that includes "heated front seats," along with "power rear-quarter windows, [and] wireless cell phone link." Kelley Blue Book proclaims, "if your kids are all about high-tech gadgetry and love on-board toys, the Armada has you covered," thanks in part to its optional "rear-seat DVD entertainment." Cars.com also notes the navigation system's real-time live traffic information features.